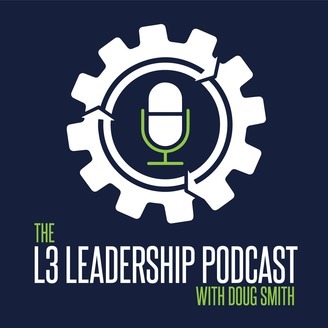 Each month we deliver 4 new episodes of the L3 Leadership podcast that will help you grow and develop. 1.) An interview with a high-level leader 2.) A personal leadership lesson from our Founder 3.) A recording of a leadership talk from one of our events 4.) A Q&A session with our event speakers. In this episode, you'll hear L3 Leadership Founder, Doug Smith, share 7 things you need to do when you're in an intense season of growth. To download the show notes or to see a transcript, go to http://www.l3leadership.org/episode221. Doug is the Director of Development at Light of Life Rescue Mission, a non-profit that helps the homeless, in Pittsburgh, PA. He is the Founder of L3 Leadership, a company that connects and develops leaders through training, events, mastermind groups, and membership. He is also the host of the L3 Leadership podcast, where he has interviewed world-class leaders such as Dr. Henry Cloud, Dr. Les Parrott, Liz Wiseman, Mike Tomlin, and many others. He is married to his high school sweetheart, Laura. Together, they love family, personal growth, travel, working out, and serving others. L3 Leadership exists to build and develop a community of leaders that grow to their maximum potential, develop the courage to pursue their dreams, and to become great leaders in their families, communities, cities, nations, and their world. 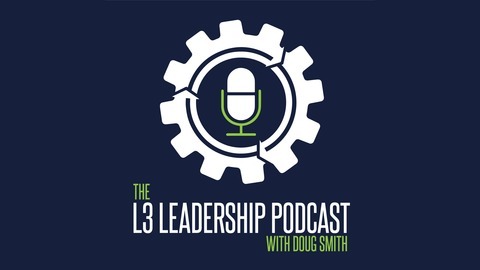 If you have an idea for a future podcast you would like to hear or a leader you would like me to interview, e-mail me at dougsmith@l3leadership.org.